Just as you would send a friend a thank you note or email for lending a hand or doing you a favor, it's also nice to send a quick note to colleagues when they help with something work-related. Whether it's a coworker or someone you manage, a note of appreciation is always welcome. Your thank you note for help with a project does not need to be formal or lengthy, just make sure to include your gratitude. If you want to do something extra special—and it's appropriate in your company—you can copy the person's manager on the note. That way, the manager (who most likely has the power to give raises, bonuses, and promotions) is aware of the colleague's help as well. 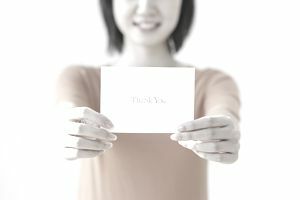 Depending on the circumstances, you might want to send a card or note by mail to thank your colleague for the help they gave you on a project. This can be a nice touch. A card to put on a bulletin board or desk can be a lasting reminder of appreciation, as well as a hard copy record for their files. If you are handwriting your thank you, remember to include the date on the top right side of the note. However you decide to send your thanks, your letter will contain the same elements. You should begin with a salutation, and depending on your relationship, you might choose “Dear” or “Hi” since this is an informal note between colleagues. As in all business correspondence, don’t use abbreviations or slang. The note can be informal, but all work-related correspondence needs to maintain a professional tone. The body of your letter should mention a few ways that their expertise was valuable to your project, and how much you appreciate the time they took out of their busy schedule to offer their assistance. In your closing, it’s always nice if you can offer to reciprocate in some way. Otherwise, you can just share your gratitude and pleasure with the opportunity to work with them on this particular project. Here are sample email messages or letters that thank an employee for help with a project. Use these examples as a guideline when creating your own letter or message, and include specific details about how the person helped out. Thank you very much for offering your assistance on the upcoming Human Resources project. I really appreciate your willingness to help out outside your current position. It is helpful to have someone who has had experience with similar issues on previous projects to offer guidance and direction. I know HR is happy to have you assisting in this matter. Let me know if you need anything from me. I can make someone available to help your team out while you spend a few days with the Human Resources staff. Subject: Thanks for Your Assistance! I wanted to thank you for taking time from your busy schedule to help the Finance department get the year-end accounting completed. I know the work wasn’t part of your normal responsibilities, but your assistance was invaluable in helping my department get everything done in a very timely manner. Your expertise and enthusiasm were both appreciated during a time which can be stressful for all concerned! We sincerely appreciate your efforts and thank your manager as well for sharing some of your schedule with the Finance department. Thank you so much for coming in all those extra hours last week to help me get the new shop set up. I can’t believe how much more space we have for display, and the new kitchen is going to make it so much easier to meet the demand for wedding cakes this summer! You are always such a help, and I appreciate your support in every way. I am so happy to have you as my assistant, and I’m looking forward to working with you as we move into the next phase with our growing business.